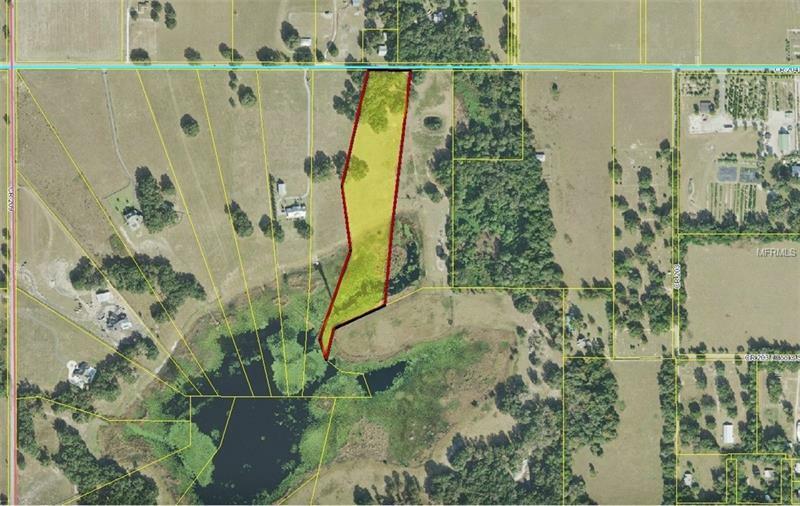 Offering a beautiful Lake Andrew parcel with some trees and ample open space for your home and animals. Located in an area of fine homes and pretty landscapes, Lake Andrew is the perfect place to enjoy quiet southern living with water frontage and still be within minutes of shopping, schools, medical, dining, and other amenities in The Villages. Approximately 30 minutes to Ocala and one-hour to Orlando.